where is this console from? Who are the table lamps by? 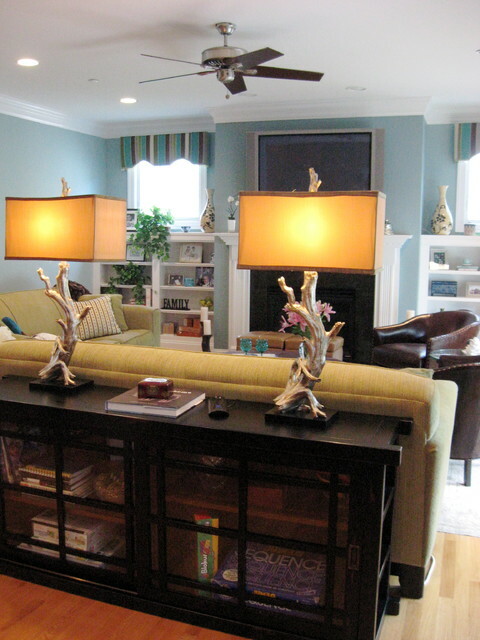 Love the lamps! Where are they from? The lamps were from Horchow.com which are no longer available. Love the sofa table - who makes it?? This is from Arhaus. The spencer bookcase. It comes in two sizes and two finishes. What color/make is the paint? Very pretty!